So I have been playing the new Breath of the Wild game for about a week. It is rather amusing that after starting work on the costume article before the release of the game, I now realize that every single person at Dragon*Con could do their Link’s outfit, and we would most likely all have different costumes. From the various components, Body, Legs, and Head, to the Dye Shop, the possibilities are endless. While granted I am not that fair into the game, of the outfits that I have encountered in my short time playing, I honestly prefer the Hylian Tunic. It has so many pouches and belts, it just is fun to look at. And can be dyed! And while I like seeing Link’s head, AC is a must in Breath of the Wild, so the Hylian Hood is necessary too. I was content with the color scheme, until I found the dye shop. 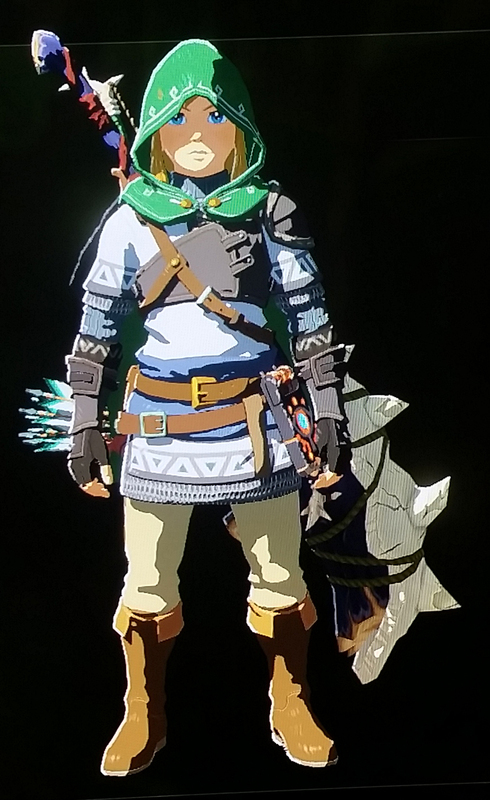 I ended up going for a White Tunic and a Green Hood (gotta throw in some classic Link green). 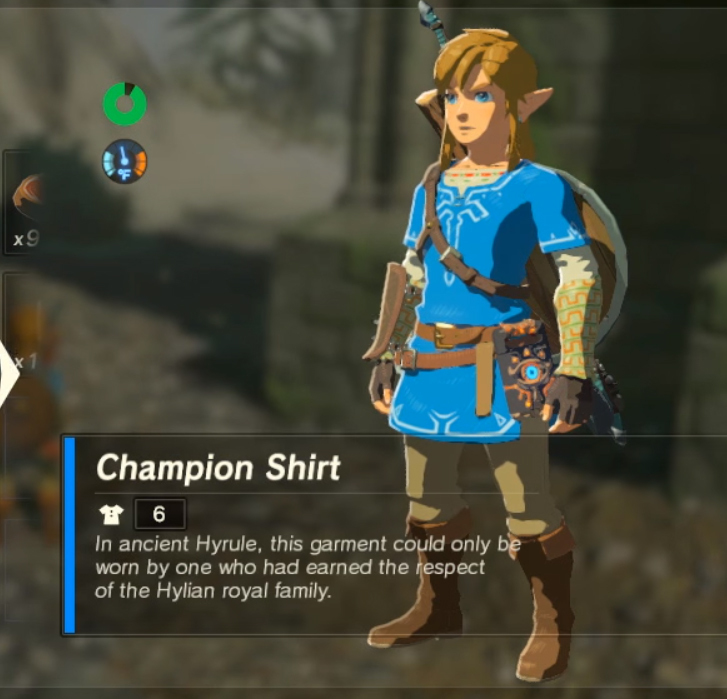 After a little more progress, I eventually earned the Champion’s Tunic, which adds necessary AC, but you can’t dye it. I can’t believe that I am so concerned with fashion and color, but you give me the option to give Link some pizzazz, and I am all for it. Sadly, even though I love my White Hylian Tunic, I need AC, cause Link is too crunchy. Last night I went ahead and purchased the Soldier’s Armor set from Hateno Village. I don’t like the Helmet, but I feel like I need the AC right now. I plan to play around with dyes tonight on the armor set. But right now, with the Great Fairy enhancements, I can max out my AC at 22, Soldier Greaves, Soldier Helmet, Champion Shirt. I look like someone who just got a great deal at a Thrift Store, but hopefully I won’t die as often. And thank goodness the game forgets past deaths. It would be frightening if the game just left red X’s for each and every death. Eventually I don’t know if I could even use my map!